At present, we only have corporate volunteering opportunities available in Great Britain. To find out how your company could get involved visit our corporate volunteering page or contact us for more information. If you’re interested in volunteering overseas see our latest opportunities or sign up to our e-newsletter to stay updated. Why should your company volunteer with us? New Builds – We have built a variety of new build affordable homes for sale or rent using a variety of approaches, including self-build, volunteering and trainees. Empty Homes – We offer a complete service to the home owner, repair the property to a decent habitable standard and then rent it via a housing association at an affordable rate to those in housing need. 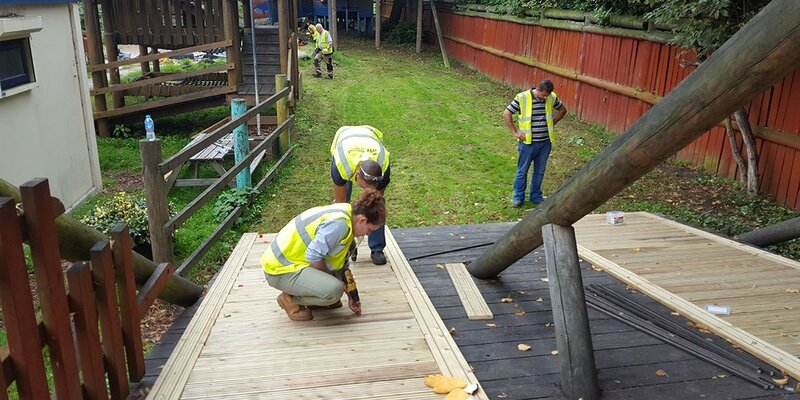 Community Projects – Working with volunteers to improve accommodation belonging to other charities who work with disadvantaged groups such as people in housing need, the disabled and the homeless. Not sure our volunteer opportunities are for you? Get inspired by reading more about our work in GB. When you help a family trapped in poverty to build a home, you provide the most permanent and powerful way to help them escape precariousness, disease and begin a new life.